In Red Tag, Part I we realized that most of us are car addicts, that we ride in our cars without thinking about it, and that this is not a green habit. We learned a simple technique to create awareness of our mobility choices by “red tagging” our car keys. The tag reads “How?” and “Why?” so that we will ask ourselves the hard questions – and make a conscious decision: “How will I get there?” and “Why do I have to ride a car?” Today we will deal, generally with the rationalizations, justifications and sometimes false mandate’s we give ourselves to make our own car riding “necessary” and thereby okay. And so we ask "how shall I get there? Could I take the bus? Walk? 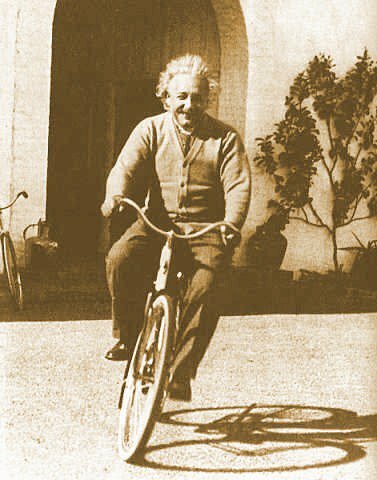 Ride a bike?" 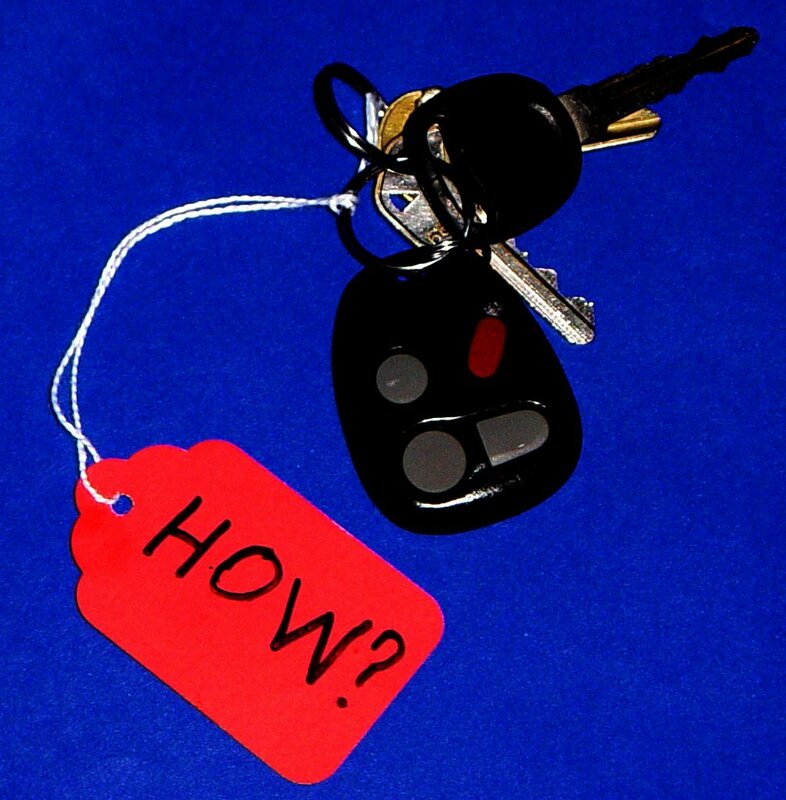 If you have asked yourself this question – actually asked it instead of just thoughtlessly groped for the car keys – you may have answered yourself already with the easy answer. You may even have added the temporary rationalization “this time. Next time I’ll walk/bike/ride transit.” You may even have already supplied the answer to the next question (“Why?”) as part of the rationalization. “this time I have to ride a car because my-work-is-too-far-I-don’t-have-time-today-I-have-to-wear-a-suit-I-don’t-have-a-bike-I-would-be-afraid-to-ride-a-bike-it-would-be-too-dangerous,” or some variation. Sometimes we really don’t have an immediate viable alternative to riding a car. Sometime s, the only solution is long term, but sometimes, really truly, there is no good – or at least acceptable -- alternative, short or long term. So get out the car. Don’t sweat it. Just by making a conscious, informed choice to drive a car you (1) will cut down on driving, even if it is the reduction that has now become unconscious, and (2) understand that you are doing more already by simple awareness than most people car addicted people. That having been said, most of our “reasons why” fall into one of two categories: Laziness, (simple and complex) and Necessity (likewise, simple and complex). Simple laziness is nothing more or less than its name implies. “I’m too tired to bike.” “It feels like too much work to take the train.” Even once you are serious about overcoming the lame excuses, simple laziness will rear its head. Complex laziness depends on the extra steps necessary before we can easily make spontaneous a non-auto choice. Buying the bike, getting an old bike ready to ride, or trying out the light rail on a weekend for a trip that does not have immediate time constraints, for example. Complex Laziness is pernicious, because it requires something more of us at the outset than simple awareness. We have to clean up that old bike, and practice on it on the weekend. We have to find the online transit map, and spend a little extra time figuring out something new, the first time. We may even have to find new places to go for errands and entertainment that we could walk, bike or ride to, an especially daunting task if we have strong patterns and habits already. Complex Necessity is also like its lazy cousin: The necessity is often created by the way we have ordered our lifestyle, and the choices we have made already from the depths of our thoughtless car riding and addiction. There may be an extra step involved that requires a small change to remove the necessity. Some examples: You work two miles from home, but bring a lot of work home most nights, so feel that you need a car to transport you and the box of paperwork efficiently. Well, you and I both know that often enough the papers come home but nothing is done on them. Resolve and plan to leave everything at work on Wednesday and walk the two miles on Thursday. Just one time. Now this also means you will have to leave about 15 minutes per mile earlier for work. But you can do this once, right? Having done it once, especially on a day with fewer time constraints or on which you leave extra early (just in case) you can be comfortable doing it regularly. Not everyday, just more regularly. Another example of the extra step is to add a $100 bike trailer to your bike. I have used one to pull kids, but now use the bike trailer to go grocery shopping. Eight or nine paper grocery bags pull pretty comfortably in the trailer. With the trailer, I have removed the “necessity” of firing up a six-cylinder auto and running it the two (most polluting) miles to the store for my organic produce. The hardest part about overcoming Complex Laziness and Complex Necessity is that it requires a more than a spontaneous effort; it needs a little planning, a conscious and acknowledged commitment to changing mobility modes, at least some of the time. That’s where the red tag comes in: First, it puts a spanner in the works of the automatic act of riding a car. Second, it provides a moment to reflect on the mode choice and make it a choice. But third, it allows a pause where the realization that one is indulging in Complex Laziness or Complex Necessity can sink in, and perhaps result in a little planning for the next trip or for a test run over the weekend. take a canvas bag to the grocery store. what, you say you need those plastic bags? do you need all the ones you get, or just some of them? try taking just one canvas bag and replacing one paper/plastic bag with canvas. if you still have plastic bags piling up, take a second canvas bag. find your equilibrium point. I have two/three cloth bags that sit in my car, and usually those are enough. If I really need a plastic bag (ie for garbage or packing or something), I either don't use a canvas bag one time OR get a plastic bag from my neighbors that never use canvas. it's not hard to do. you just have to remember to put the bags back into the car after you unload them. after a few times, it becomes habit, and you've got another easy green step under your belt. you are doing some excellent posting here. I like the red tag idea, and plan to start enforcing it. I have a question for you, or at least something to ponder. What advice would you give to your neighbors in the northern latitudes. Winter is approaching, and I am fairly certain that they don't make an electric snowmobile, yet... heh heh. Thanks Leah, that's a good reminder, and I will amplify that and credit you in a future post! Obviously there are limits to the walking and biking seasons in certain climates. Even in Pasadena we get rain, and weather in the 30s sometimes, so not every day is a good day to bike or walk. Transit -- especially light or heavy commuter rail -- is a more viable option in such weather. There are, too, electric cars that do okay in colder weather, but if you need a snowmobile to get around . . . well yikes! Seriously, I would not presume to tell a Minnesota or North Dakota resident, for example, how to deal with that weather in an Easy Green way, because, frankly, the worst I have experienced is a bad winter in Washington DC. Maybe you have some ideas? (grin). you're welcome for the idea :-) I'm a huge proponent of ditching plastic bags. In the Netherlands, you've got to bring your own bag to the store or purchase one there, and you've also got to pack your own bag (I got a rude awakening the first time I went to the store!). Since I got back from studying abroad there, I've just tried to keep the habit. I love the side benefit of cutting down on the excess clutter in my house. thankfully there is no need to use snowmobiles, I was just being snarky. I would think the solution for many in the winter months is already one that takes place for the most part - hibernate. I think that people tend to 'power-down' in the winter months, travelling less, less shopping after the holiday season, less extraneous trips out of the house (it's too damn cold and snowy, etc.) So I think that a heated car, while remaining a necessity, becomes less used for small trips out of the home which is a good thing. I am actually looking forward to the snow, and settling in with a fire and some strong dry wine. Maybe then I can put the "honey-do" list down for a while. There is something to be said for a few months of relaxation.